The project will help persons with disabilities to integrate into the labour market and offer training of new professional skills. 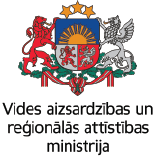 The project will be targeted at 44 thousand persons with physical, cognitive, sensory or emotional disabilities from the age 16 residing in the cross border area of Zemgale and Panevezys-Utena districts. Project will develop a tailor-made training system to acquire new professional skills under the leadership of a mentor – a professional in a particular domain who will be ready to work with and train a disabled person in his/her profession thus preparing for integration into the labour market. The project will develop, test and introduce a methodology for tailor-made training system for disabled persons and will train 40 mentors that will further train 80 disabled persons in the professions in arts and crafts or related to businesses based on the infrastructure particularly developed at 6 partner locations to adjust to the needs of disabled persons for training them in new professional skills. The project will be implemented over the period of 2 years by 3 partners directly related to labour market in the region – an art incubator in Anyksciai, business training centre in Panevezys and Jelgava Local Municipality.